Lofall is located about 5 miles south of the Hood Canal Bridge on the Kitsap Peninsula, alongside the eastern banks of the canal. With Lofall waterfront real estate, you’ll enjoy breathtaking views of the water and Olympic Mountains in a quiet, peaceful community that’s less than a 15-minute drive from the picturesque town of Poulsbo, a popular tourist destination with a distinctly Scandinavian feel thanks to its Norwegian roots. At home, you can look forward to relaxing among the scenery as well as taking part in a wide range of recreational opportunities just steps from your door, including boating, sailing, kayaking, paddle boarding, fishing and some of the best shellfish harvesting around. If you don’t have your own stretch of beach, Kitsap Memorial State Park is just north and is known for its geoducks, cockles, butter clams and horse clams, as well as the occasional native littleneck and Manila littleneck clams. Lofall waterfront real estate is ideal for those who want to enjoy a more secluded feel surrounded by nature, with city amenities close by. You’ll major grocery stores as well as art galleries, museums, boutiques and restaurants in Poulsbo, and the Kitsap Mall is just a few minutes further in Silverdale. The Bainbridge Island Ferry Terminal is just a half-hour’s drive away, for relatively easy access to downtown Seattle too. You can easily walk on to catch the big game, with the Seattle Seahawks, Mariners and Sounders stadiums just a short jaunt away. 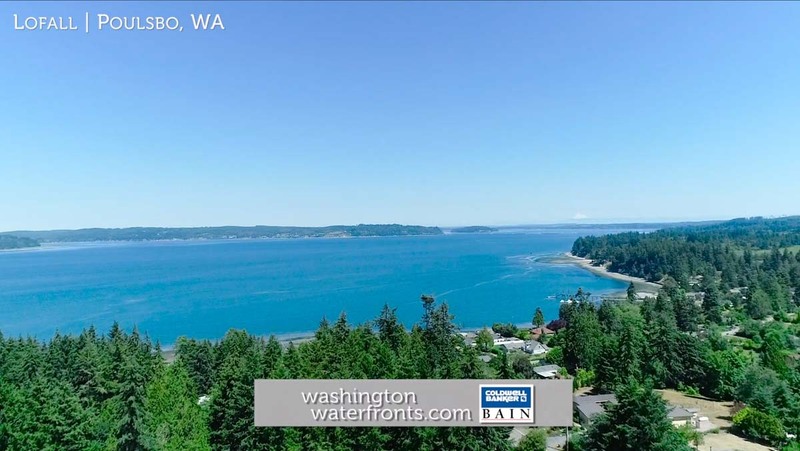 Lofall waterfront real estate includes a mix of older and newer homes, with many designed and perfectly situated to offer lots of privacy while taking full advantage of the Hood Canal and Olympic mountain views. Think large, floor-to-ceiling windows and wrap-around decks where you can look forward to relaxing at the end of the day or spending a quiet afternoon watching the boats and wildlife pass by. Take advantage of our industry-leading tools to make your property search as easy as possible and be sure to register for a FREE account so that you can receive email alerts whenever new Lofall waterfront real estate for sale hits the market. If you're seeking to sell your Lofall waterfront property, contact our Waterfront Specialists directly for a comprehensive listing analysis and to learn more about the cutting-edge marketing strategies we'll use to sell your home quickly for top dollar!